It's Spring already, the clocks have gone back and the automotive world is coming to life, as you can see we've been busy reviewing cars as well lining up some of the newest models. We've lots planned in the coming months including some rather cool automotive events including The Commercial Vehicle Show, London Concours and some invite only events one being Goblin Garage. For more on these events and what the team are getting upto visit our Planet Auto Youtube channel for LIVE streams and car video content. The Kia Ceed has come along way as has the Kia brand, this car is ready to take on the German premium hatchbacks. The model we have is the '2' which is the base model of the CEED, sayong that base level has some great option, auto lights with self dip and Apple car Play and Android Auto. 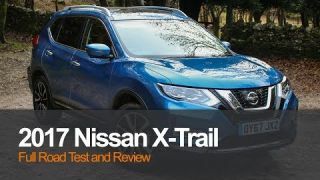 This car also returns around 70mpg, it is also NCAP 5 and looks rather cool too, find out more in the video review. Last week we reviewwed the Mitsubishi L200 Series 5, the pickup truck which is soon to be replaced by the new one, already available in Thailand. This model is superb, a better turning circle, well refined and very capable off road which is easy to engage with it's Super Select II mode. The L200 is powered by a 2.4 turbo diesel engine which develops a staggering 430nm of torque and is coupled to an auto gearbox. To find out more watch our full video review, you won't be disappointed. The Kia Stonic is a B SUV built on the same platform as the Rio, it's roomy, punchy and great value. This is our 8th best performer this month on our youtube channel, and it's not surprising. The model we had came with 1 litre turbo charged 3 cylinder with a 6 speed manual gearbox, we gained around 40 - 45 mpg. Infotainment includes DAB, Apple carplay and Android Auto. The video shows a full review including our driving experience. What a year 2018, and you were there alongside us, here are some of the Milestones we accomplished. That was just a few of the highlights, currently we are heading for 3,000,000 + minutes watched a year, a remarkable figure, subscribers are currently at 1273 growing daily. Wondering how the latest Ford Ka+ Active fairs? Well we've just reviewed this rather well priced Crossover come city car from Ford. The model we had came with a 1.2 3 cylinder petrol engine with 85ps, you can also get another petrol model and 1 diesel too, they are all 5 speed manual. Now how does the Active differ? Well you get 15" alloy wheels, AWD style cladding and rough road shocks. Find out how it drives, if it's roomy and whether it's economical in the review. What a year for Planet Auto, what's coming up? That's right it's coming upto to the end of year, 1 month left if you remember we set a target of 1000 subscribers on our channel for EOY. Well, we achieved our goal 1 month and 1 week before target, and that is thanks to you guys, since then in the last week we have hit 1056, it's flying. We've lots coming up in the new year, and for December we are reviewing a 2 Ford models, a Volvo and a Skoda. This week we have the 9 Speed Honda Civic, Abarth 124 GT and Mazda CX-5 reviews being published. 2019 is going to be immense, more drone footage, more live events, more cars and more events. Want to see what we've been getting upto? Here's just one of the things we've attended in the last week, and yes that is Ben Quirk driving a Tommi Makinen Evo VI. If your wondering why it's all quiet on the western front, well that's because our Youtube Channel Planet Auto is where you'll find our latest adventures as well as our latest car reviews. Why not here? We aim to keep the page upto date however we can stream LIVE straight to our channel from any events, launches etc we attend.